Roadies are the unsung heroes of the Australian music industry. They unload the PAs and equipment, they set it all up, they make sure everything is running smoothly before, during and after the gigs. Then they pack everything up in the middle of the night, put it in the back of the truck and hit the road to another town – to do it all over again. They know everything about the pre- and post-show excesses. They bear witness to overdoses, the groupies, the obsessive fans. They are part of – and often organise – all the craziness that goes on behind the scenes of the concerts and pub gigs you go to. From The Rolling Stones to AC/DC, Bob Marley to Courtney Love, Sherbet to The Ted Mulry Gang, INXS to Blondie – the roadies have seen it all. And now they’re stepping onto the stage and talking. Stuart Coupe is an author, music commentator, independent artist publicist and radio broadcaster who has been involved with music all his life. 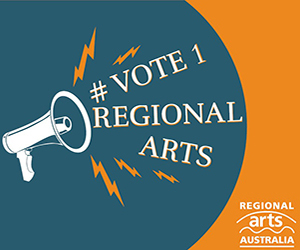 Amongst the books he has written, edited or collaborated on are The New Music (1980), The New Rock ‘n’ Roll (1983), The Promoters (2003), Gudinski (2015) and Tex (2017). 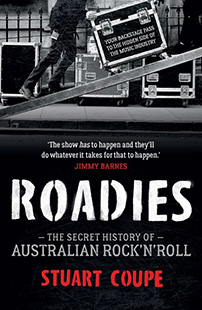 Roadies: The Secret History of Australian Rock’n’Roll is published by Hachette Australia and available from all leading book retailers including Booktopia.